Customized Color Changing Mood Sports Bottle - 20 Oz. 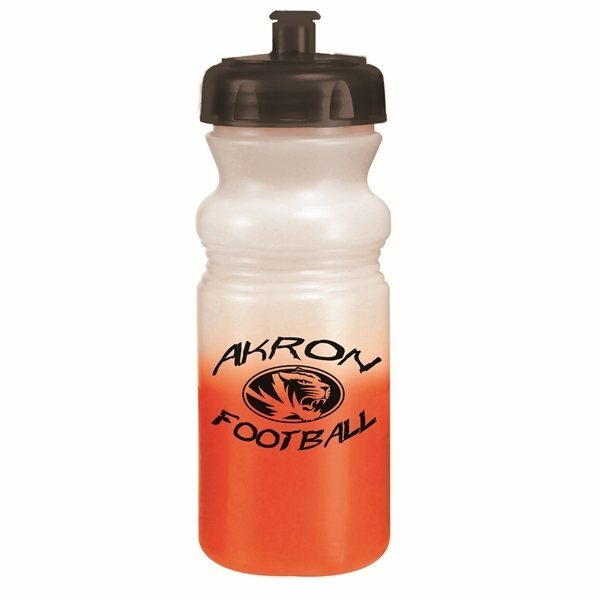 If you're searching for a modern bottle that people will hang onto for years to come; The Custom Mood Sports Bottle is an excellent choice! 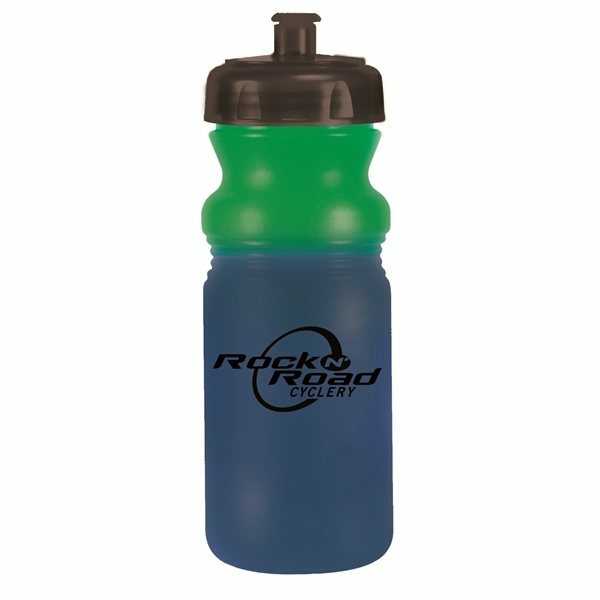 Not only does the Custom Mood Sports Bottle come in various color options for easy branding; but it also offers rush availability when you need your products in a hurry! 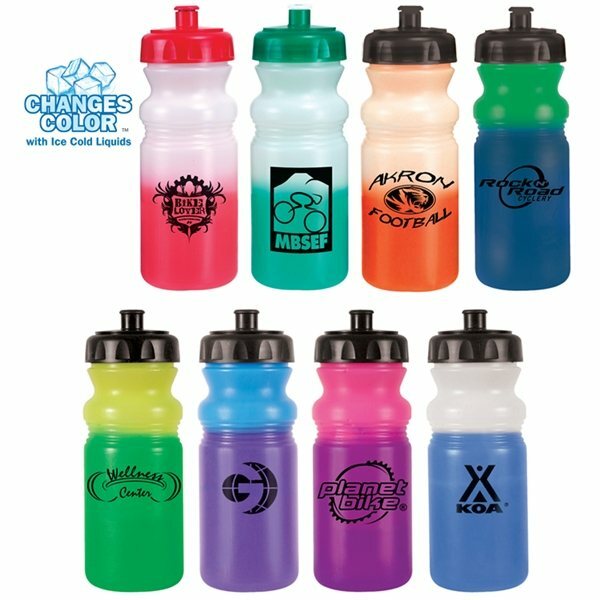 The Custom Mood Sports Bottle is a fun way to show your company has spirit! 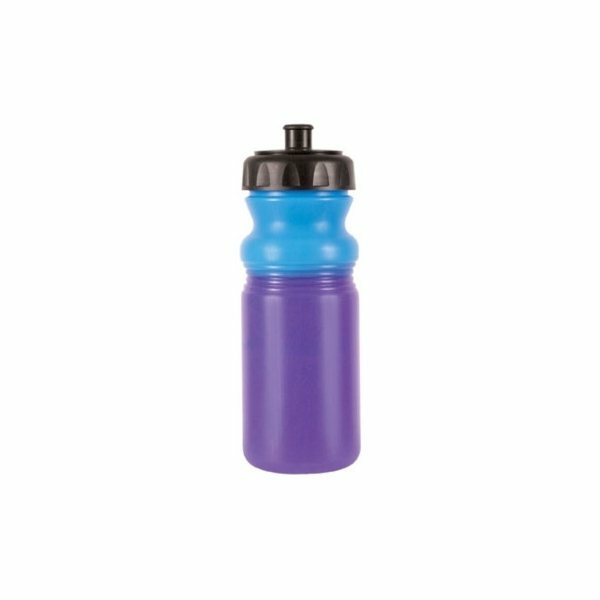 • The Custom Mood Sports Bottle changes color with ice cold liquids. 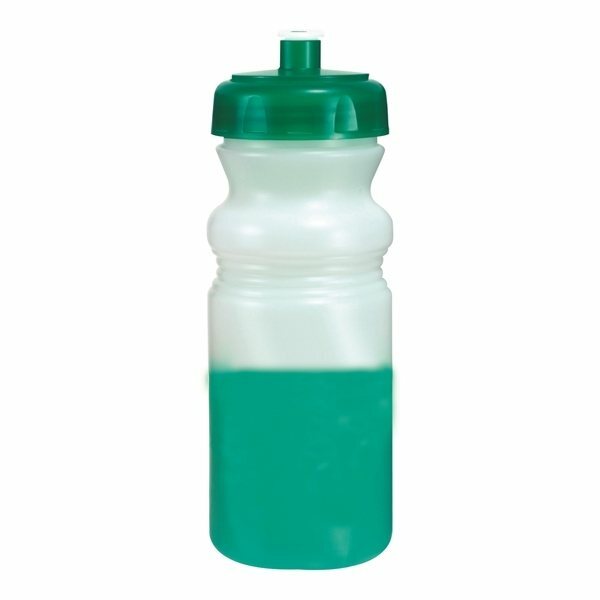 • The Custom Mood Sports Bottle features a push 'n pull cap. • The Custom Mood Sports Bottle features a wide mouth opening. 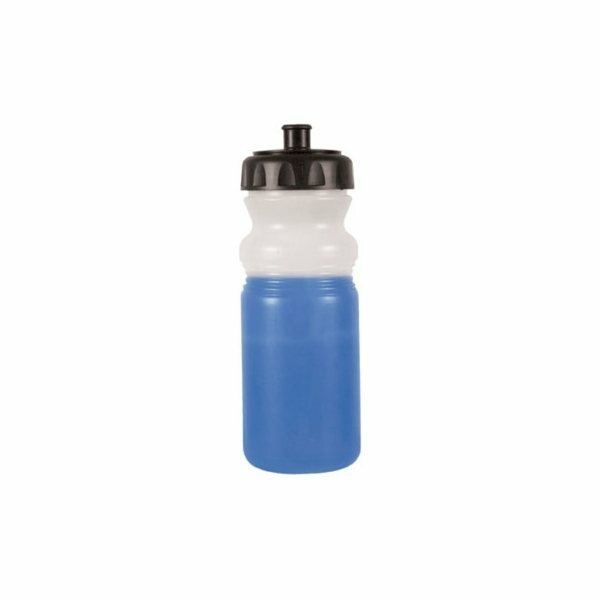 • The Custom Mood Sports Bottle is top shelf dishwasher safe. Bottles are the perfect size, printing is spot on! Excited to see the reaction when we give them out! We purchased this as a thank you gift for our PTA fundraiser a year ago. I still see kids and teachers using it. It has held up well and the color-changing still works. 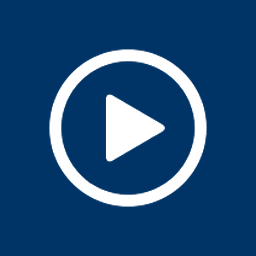 I have been a AnyPromo customer for probably 8 years. Their product are good. I loved how crisp and clean the logos looked on the items.